You won't feel guilty buying this hybrid hypercar. Ferrari is about as Italian as Italian gets, so it's no surprise that the company is launching an initiative to help the victims of this year's two major central Italian earthquakes. And it involves a LaFerrari. Ferrari, RM Sotheby's, and the National Italian American Foundation's Earthquake Relief Fund are partnering up to auction off a one-off LaFerrari from the company's own collection at the upcoming Finali Mondiali on December 3. All proceeds from the auction will go to the reconstruction efforts in central Italy following August's magnitude 6.2 quake and the string of quakes that hit late last month. If you're heading to the Daytona International Speedway for Finali Mondiali and have seven-figure's worth of cash burning a hole in your finely lined pockets, it's worth mentioning what you could bid on. The LaFerrari in question wears the company's traditional Rosso Corsa, but sports white accents down its body and an Italian tricolor on its nose. 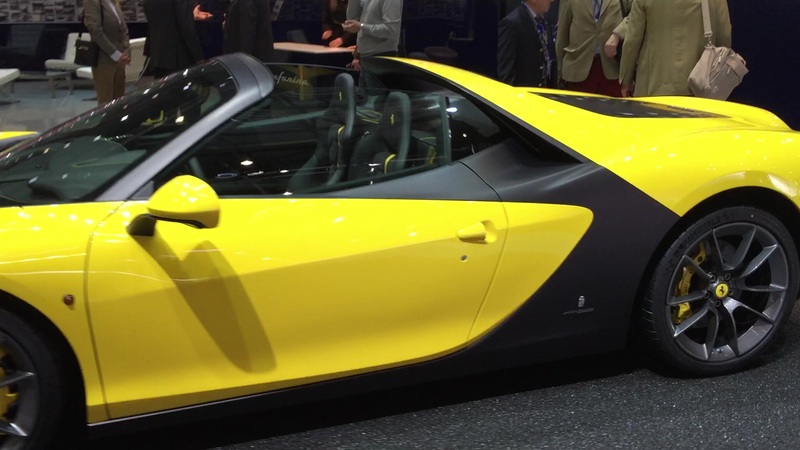 Ferrari says bespoke interior stylings complement the one-of-a-kind exterior treatment. The special LaFerrari will cross the block at RM Sotheby's on December 3.